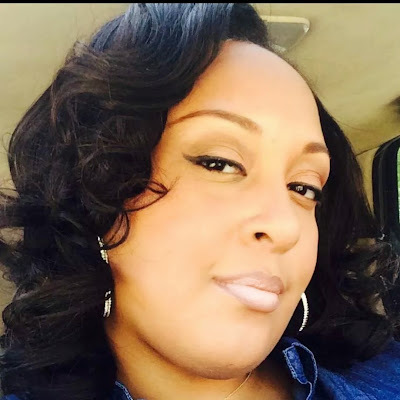 With more and more women wearing hair extensions now, everyone is on a quest to get the best looking sew-in possible. Simply put, that means everyone wants their extensions to look completely natural, like the hair grew right out of your scalp. After all, there is nothing like seeing someone with bad weave. 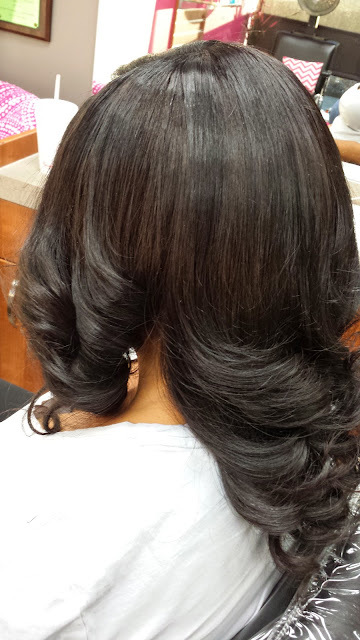 It makes me want to take them by the hand and lead them to L. Jones Salon to get the hair looking right. Today I am going to share with you the only two things you need to get the best sew-in. fabulous hair. 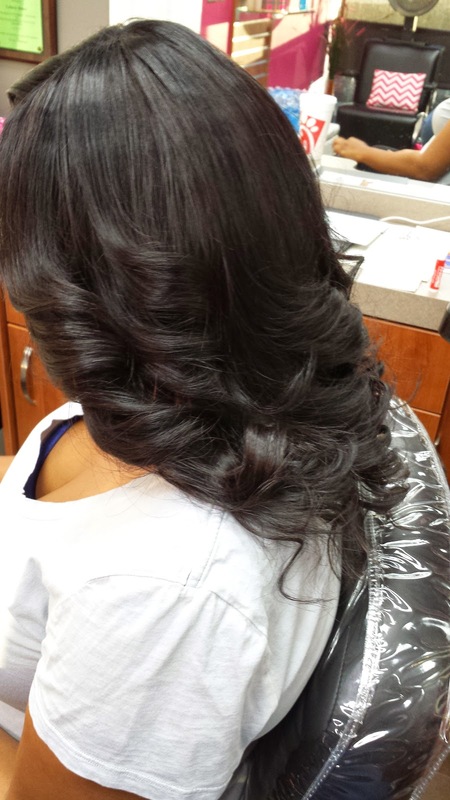 Having great hair is so important because it is essential to making your sew in look great. 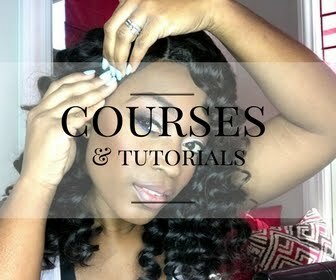 Having bad hair is just a waste of time and money so leave the cheap, beauty supply hair alone. The clients that I have featured in this post are wearing L. Jones Hair Collection. I love my hair collection because the hair is so soft, and is top quality, being the highest quality on the market right now. 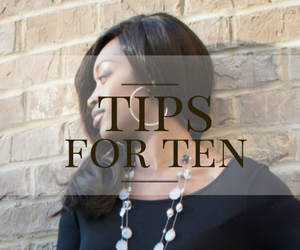 It can be reused for up to one year, meaning you do not have to buy more hair every time you get another sew in, unless you choose to do so. So, it is actually cheaper to buy higher quality hair one time than to buy cheap beauty supply hair over and over. Another great thing about my hair collection is that you can shampoo it as often as you need to and it does not shed or tangle. You can get this hair soaking wet and still comb through it with a fine tooth comb! And the most obvious reason that I am in love with my hair collection is because it looks so real! This client has hair left out yet it still blends seamlessly and looks realistic. 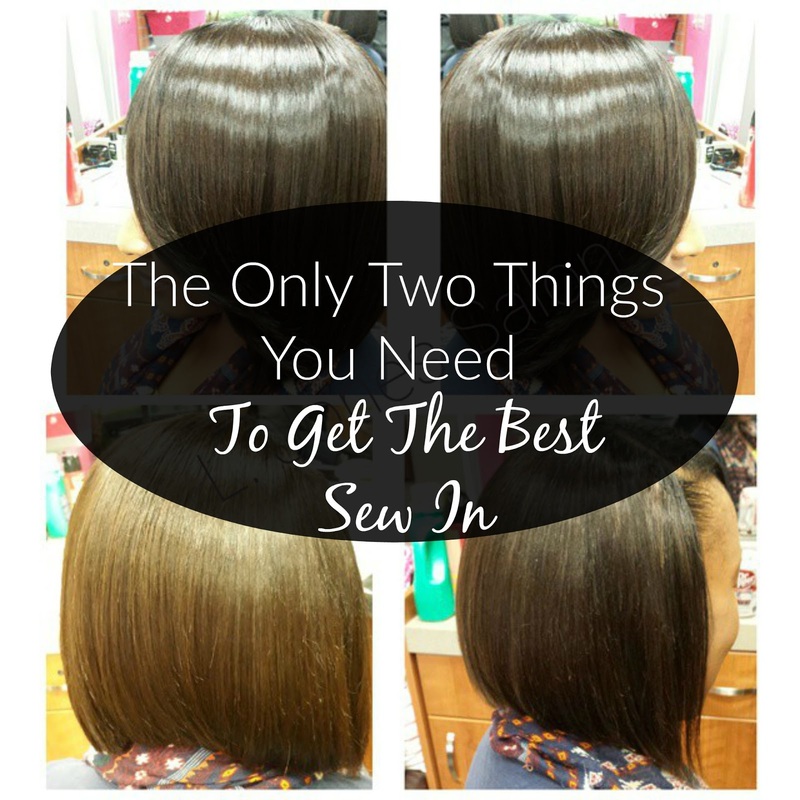 The second thing you need to get the best looking sew-in is a great hairstylist. 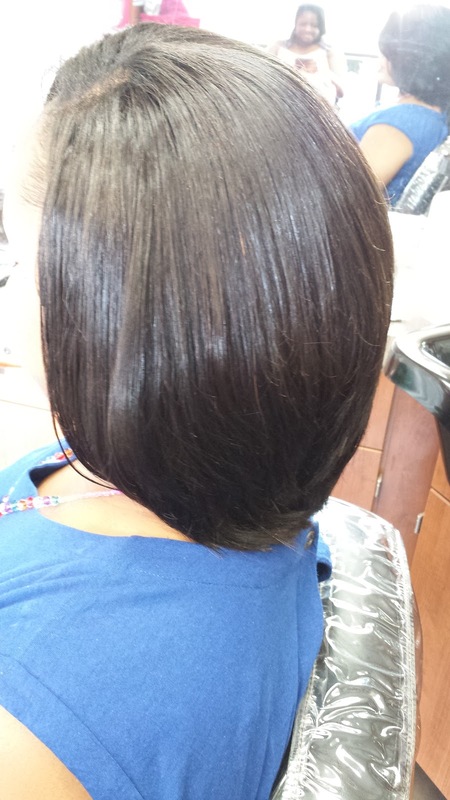 It is really useless to have great hair and a low quality sew in or a great sew in with cheap hair. Either way is no good. 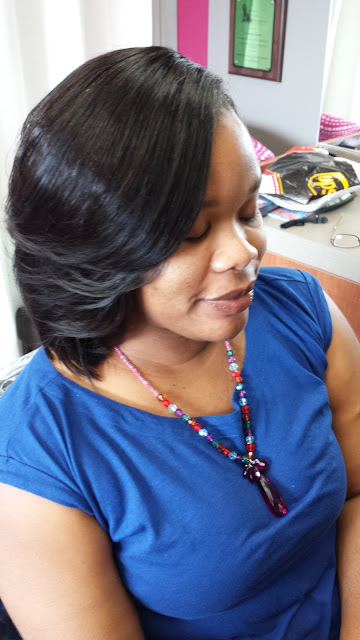 After all, you are going to have this sew in for up to three months so don't skimp on the hair quality or the installation if you want to look flawless. 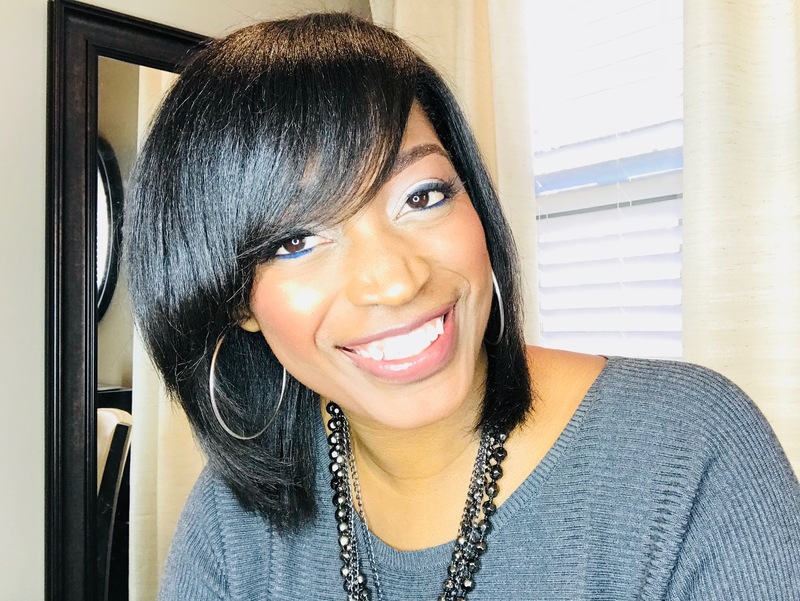 All of the hair featured in this post came from L. Jones Hair Collection. One of the reasons why I do so many things is because I take pride in using the best of the best products. And since I know I have many readers who rely on me to make recommendations, I know that if my name is on it, then it is a product that you can trust because I am very selective about my brand so if my name is on it, you can trust it. 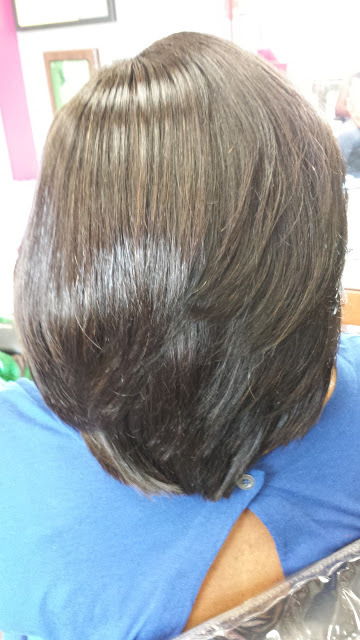 With my hair collection, all of the hair is 100% premium, virgin hair meaning it has never had any chemicals in it. It is sold that way because not having ever been chemically processed makes it much easier to customize it the way you want it. Many times women like it right out of the bundle and do not do anything else to it. As a matter of fact, all of the clients in this post did not do anything to their bundles but shampoo them before installing. They did not color them at all and were pleased with the way they came. But, if you want highlights or all over color, or anything else done your trusted professional hairstylist will be able to achieve that with no problem. 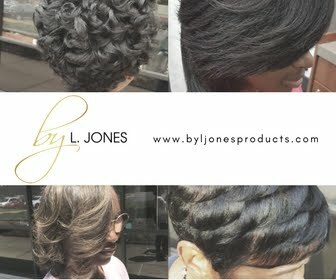 If you are interested in ordering from L. Jones Hair Collection click here and get ready to transform your hair!